How to recover files after emptying the recycle bin with Glary Undelete? Did you just deleted some files by mistake and you emptied the recycle bin? Oops! But don’t panic, you can get them back very fast with Glary Undelete in just a few steps. 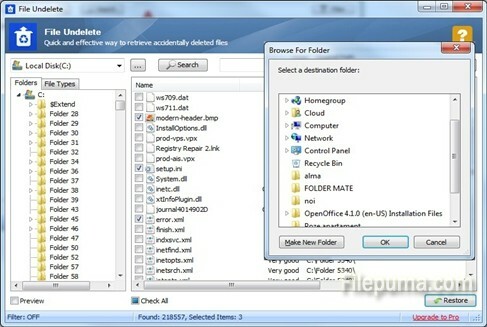 Step One: Download Glary Undelete from Filepuma.com by clicking on the green “Download Now” button. Step Two: After installing the software you will get a program window like just like the one in the picture below. All you have to do is input the name of the file in the search field and click on the Search button. If you don’t remember it, just click on the Search button without filling anything. 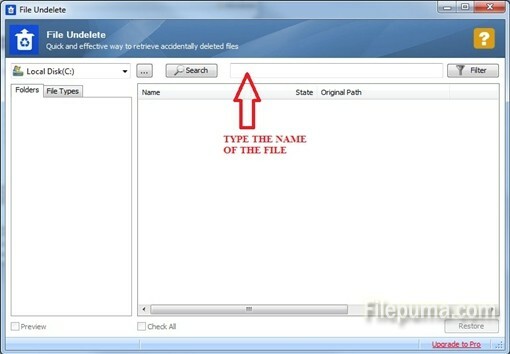 The software will automatically search for the recently deleted files. You can also search a type of file like a document by typing *.doc in the search field or any other type. Step Three: After selecting the files you are missing you have to click on the “Restore” button on the bottom right of the window and you will be asked for a target destination of the files.